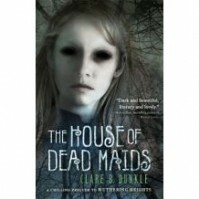 I first spotted The House of Dead Maids on a blogger's site - the eerie maid staring right out you with her weird non-eyes is an image that's hard to get out your head. I was further intrigued by the setting, Yorkshire, where I live! The House of Dead Maids is a short, speedy read that you can easily devour in one afternoon - in fact, it took me only an hour. At less than 150 pages in large type, Clare B. Dunkle has managed to pack an unusual, creepy, ghost story within it's pages without making the story lose it's pace, while keeping me interested with lots of twists and turns. The story keeps with the tradition of the stories it pays homage to - Jane Eyre, Wuthering Heights, you know the ones. Usually involves creepy houses, lots of fields and near death experiences near cliffs. Similar to Jane Eyre, Dead Maids starts the tale with Tabby leaving her home to employment unknown, which I'd gathered was probably a creepy house and cliffs. I was correct. The great thing about short books is that they get Right To The Point, and Tabby had barely been in Seldom House a day before getting creeped upon by a ghost. Being the naturally curious heroine of the tale, we follow Tabby as she attempts to uncover the house's mysteries whilst keeping her young charge occupied. Almost all of the story is told from inside the house, with made it feel even more gothic and stifling. Himself (Tabby's name, he has none), is introduced fairly early on. He's a complete brat to be quite frank and spends the entire time declaring himself to be 'Master of the House' and decided the every object he can set his eyes upon is his. 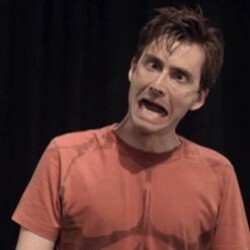 Still, he's somewhat endearing in an odd way. I actually really enjoyed the ending. It reminded me of Mister Creecher, except I didn't want to strangle the author at the end of it. I loved the author notes too, they really tied the story up nicely.